Have A Bang-Up Time On Your Birthday. 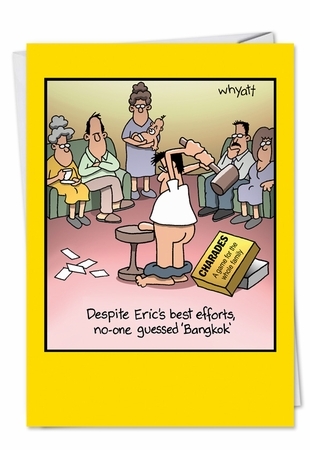 Cover Reads: Despite Eric's Best Efforts, No-One Guessed "Bangkok". Inside Reads: Have A Bang-Up Time On Your Birthday.